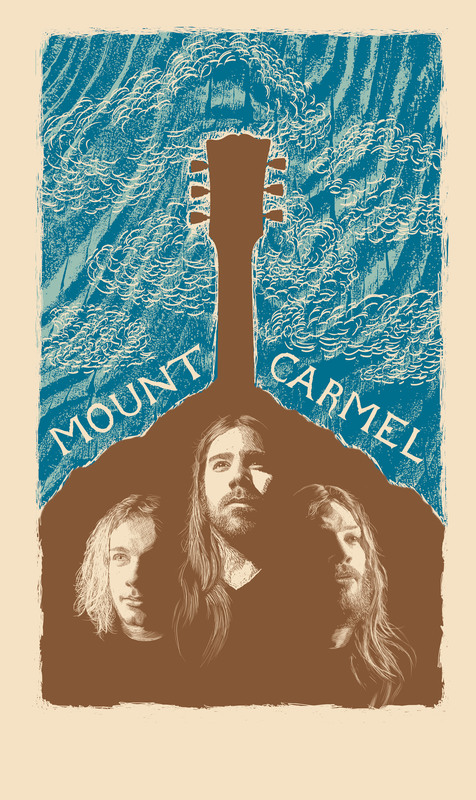 For those swayed by the magisterial authenticity of MOUNT CARMEL on their eponymous 2010 debut album: its follow-up Real Women finds the band honed and sharper, thus delivering what might be the best sophomore album released by an American blues-based power-trio since ZZ Top’s Rio Grande Mud. Nods to Free, Humble Pie, even Trapeze can be sussed out in the mix, but at the end of the day, Real Women is straight-up MOUNT CARMEL all the way. Searing leads, smokey vocals, thundering rhythms, cascading drums, hyperbolic hyperbole… it’s all here. MOUNT CARMEL brings back the spirit of 1973 like no one else. The only difference now is better weed and shittier barbiturates. It’s hands-down pure rock, no frills. Nary a retro contrivance is to be heard. These guys live it for real. Honest. TEMPLE OF THE GOLDEN DAWN was founded in early 2012 for the purpose of studying spiritual awakenings through low-frequency bombardment as well as transcendental mind expansion using electric six-string techniques. The founding four members (Scott Brooks [guitar, vocals], J. Brian Reese [guitar, vocals], J Brent Stewart [bass], and Pinker Lichvar [drums]) have come together from the remnants of other Orders & Secret Societies (Les Debutantes, L&N, Manchuria, The Ravenna Colt) to seek, together, further enlightenment and a Universal Knowledge. Check out the Facebook invite here: http://www.facebook.com/events/432878283427381. To join our email list, send an email to hstencil@gmail.com. You can also join our Facebook group at http://www.facebook.com/groups/232825523444477/. Twitter: @OtherSideShows. This entry was posted in Activities, Beer, Bourbon, Upcoming Events and tagged Cropped Out, Mount Carmel, Siltbreeze, Temple of the Golden Dawn, Upcoming Events, Zanzabar on November 14, 2012 by othersideoflife.